The Aero thumbnail previews are a great new feature, but if you are not a fan of the flashy eye-candy, you can get rid of them with a simple tweak. Here is how to do it. 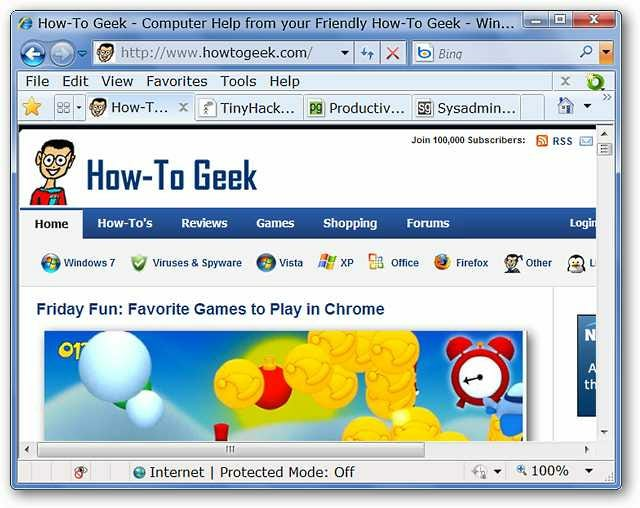 Here we are…Internet Explorer 8 with a lot of How-To Geek Network goodness ready to go. The Taskbar Thumbnail Previews look very nice, but perhaps they take up too much room for those of you who like to keep things simple. The Taskbar Icon has the classic “fanned edge” look just like any other software with Taskbar Thumbnail Previews active. If you want to deactivate the Taskbar Thumbnail Previews for Internet Explorer, it is quite easy and will only take you a few moments to complete. Open IE and go to Tools \ Internet Options. When the Internet Options Window opens you will already be on the General Tab. Under the Tabs Section, click on the Settings button. 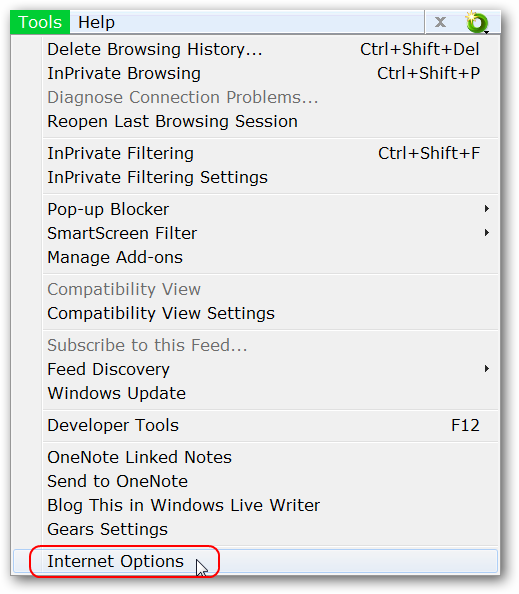 The Tabbed Browsing Settings window opens. 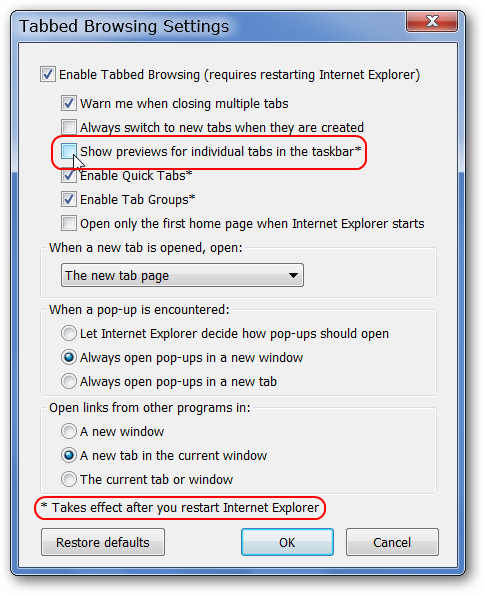 Uncheck Show previews for individual tabs in the taskbar and click OK. When you are returned to the Internet Options Window, click OK once again to totally exit out. Note: A browser restart will be required for the changes to take effect. 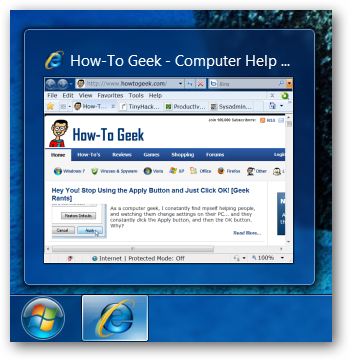 After you have restarted Internet Explorer, you will see the simple default Taskbar Thumbnail Preview and standard icon look. 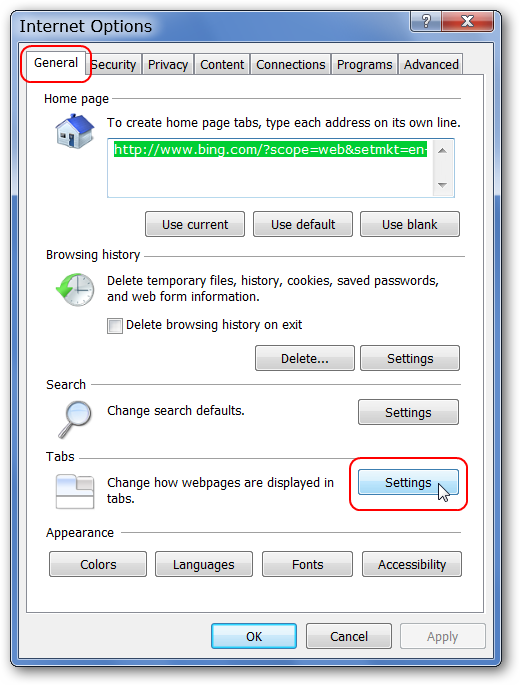 If you have been looking to disable the Taskbar Thumbnail Previews for Internet Explorer, then you are only a few clicks away from satisfaction. If you want to change it back, it is as simple as re-enabling the Show previews for individual tabs in the taskbar setting.